Pictured: a house you can't afford. 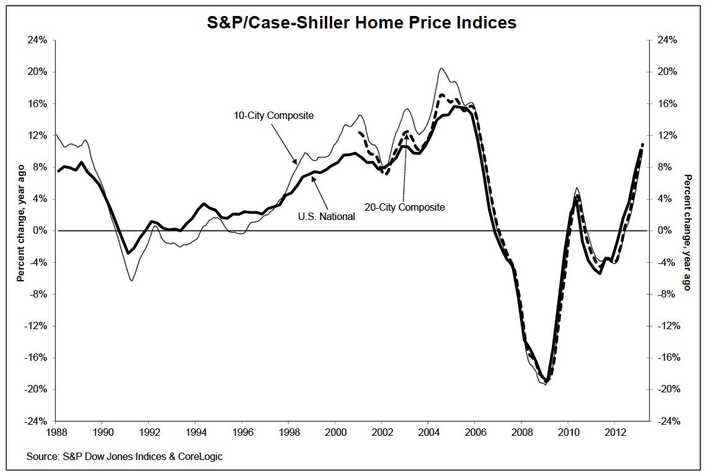 This month’s Case-Shiller index — a monthly report that tracks the price of houses in twenty U.S. cities — was good, in the sense that the strength of the housing sector portends good things for the rest of the economy. 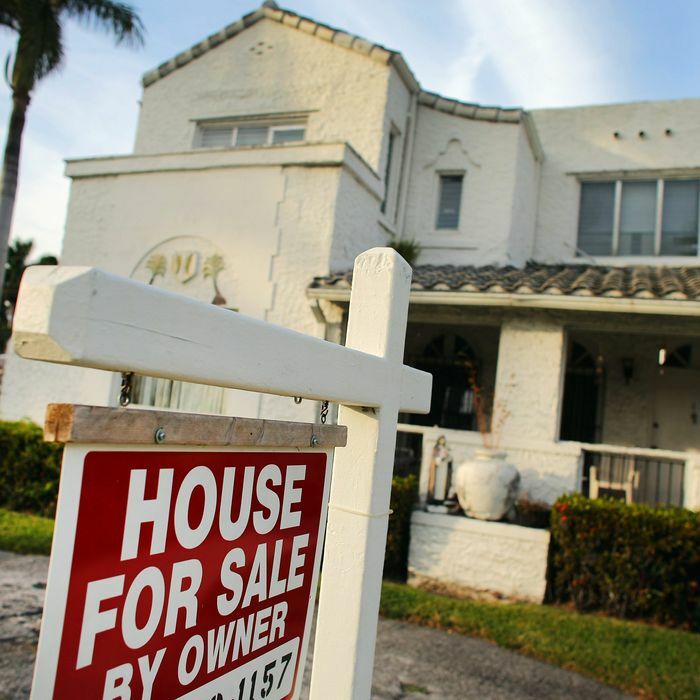 Home prices rose 10.9 percent over a year ago, with the biggest gains concentrated in Phoenix (up 22.5 percent), San Francisco (up 22.2 percent), and Las Vegas (up 20.6 percent). It’s bad, of course, in the sense that if you don’t already own a house or an apartment, you’ve probably missed the prime buying opportunity afforded by the past few years. New York had the weakest gains of the twenty cities surveyed, with a 2.6 percent price hike since last year, followed closely by Cleveland, which saw its home prices rise 4.8 percent in the past year. Those hikes aren’t an insurmountable barrier to ownership — as Felix Salmon says, “nationwide house prices now are basically back to where they were at the beginning of 2009.” But if you were considering buying a house a year ago, that option is probably slightly less appealing today. New Yorkers are a bit removed from nationwide housing trends, especially where the Case-Shiller index is concerned. Condos and co-ops, two of the most popular types of city apartments, aren’t included on the survey, which tracks only detached, single-family homes. And anecdotal evidence of a supply shortage and a demand shock (e.g., the flood of noisy yuppies that subsumes my Brooklyn block every time there’s an open house) suggests that the 2.6 percent figure doesn’t really capture what’s happening in the New York real-estate market. Renters in New York have it a little better. (Ha, you’re thinking. No, I’m serious!) According to data crunched by the Furman Center that was cited recently in the Times, New Yorkers pay a smaller share of their income to landlords than renters in L.A. and Philadelphia. Still, for a few years there, housing prices were falling while rents stagnated or rose in a low-interest-rate environment, creating a window in which it made sense for a lot of people to buy a house rather than keep throwing rent money down the drain. That period is coming to an end. So, if you’re considering buying, maybe do it sooner rather than later! And if you’re not, take some solace in the fact that the rich people buying up perfect three-bedroom co-ops on tree-lined blocks this month are probably finding it a little more annoying than usual.